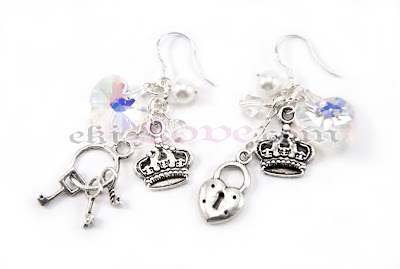 OOOH, I like those earrings with the lock and key. The designs are so pretty!! omg SUPER kawaii!!! LOVE the crowns!!! ahhhhh I want!!! I love your creations, they are so innovative and kawaii. I love the wing earrings. Do you take custom orders/color variation on your earrings? Loving the wings and key earrings! 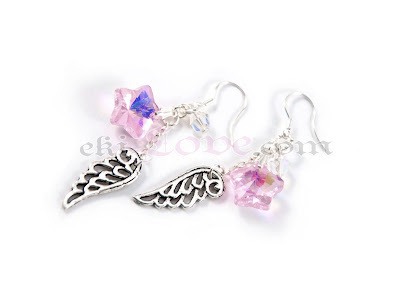 i'm loving your jewelry creations, the wings earring is so cute! Eki!! They are so pretty!!! hopping over to purchase now! You're so talented Eki! 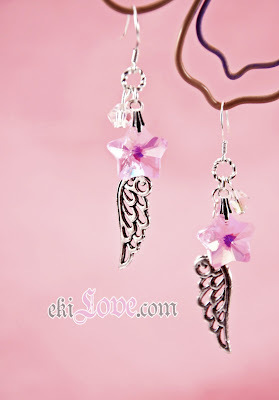 I love both the earrings - the angel wings are so cute and the princess crown/lock & key on the other pair too! 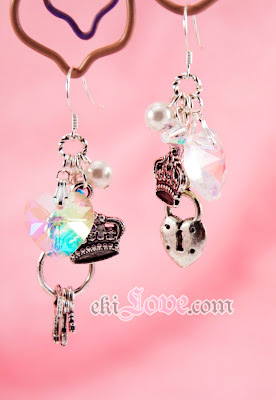 I love those earrings with the pink background, with the lock and key! gorgeous!! local talk radio station picked up on it, bսt not much else came of it.